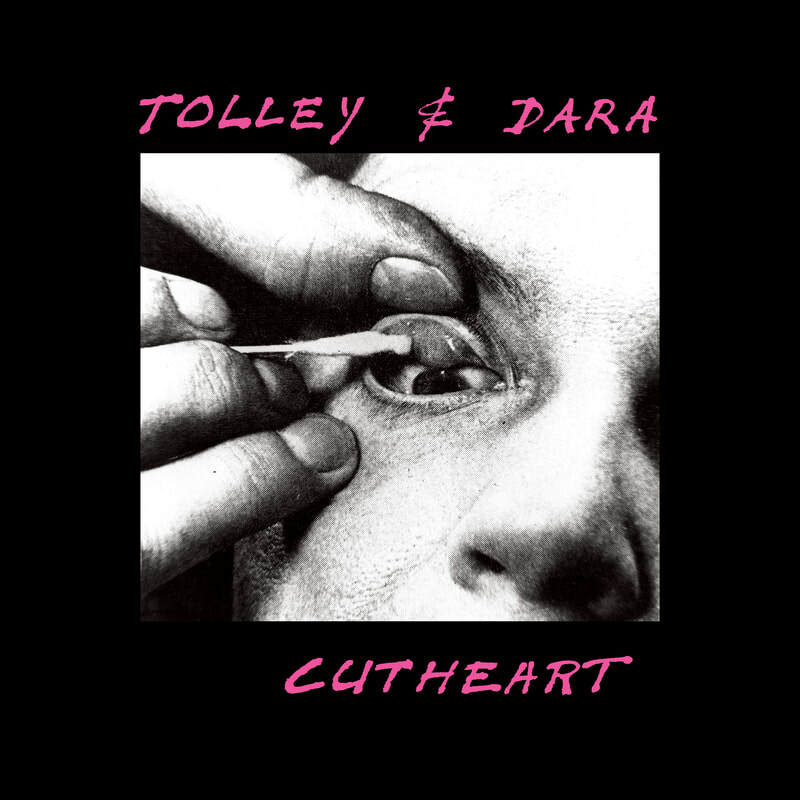 Welcome to the strange musical world of Tolley & Dara, an experimental duo whose incredible music held a marginal yet vital position on the fringe of the Australian music industry during the late 1970s and early 1980s. Consisting of jazz bassist and synthesist David Tolley and percussionist Dure Dara, their union was a relationship of romance and intense creativity, a deep spiritual bond consecrated amidst banks of modular synthesizers and racks of exotic percussion instruments. Recorded over a series of live performances in the spring of 1979, the music featured on Cutheart was edited and assembled from eight improvised pieces recorded at the Universal Theatre Melbourne. Comprised of analogue synthesizers and a vast array of tuned and non-tuned percussion, Tolley and Dara sculpted a cluster of electronic abstractions and organic splashes of Gamelan-influenced percussion; a dense otherworldly soundscape coloured with trance-like vocal scatting and deranged muttering. Known for his bass playing on the classic Australian jazz-rock album Carlton Streets by The Brian Brown Quintet and also as a member of EX-, (the collaborative project with Daevid Allen from Soft Machine/Gong), Cutheart sees Tolley explore the outer realms of heady improvised electronic music. While the music of Tolley & Dara exists in a sonic universe all of it’s own, similarities could easily be drawn to another likeminded musical partnership, the American husband and wife duo Annette Peacock and Paul Bley. Cutheart is a pioneering recording of extended synthesiser and percussion technique from the Australian experimental underground. Rare solo recording from The Brian Brown Quintet bassist and Daevid Allen collaborator, David Tolley. Experimental electronics from the Australian underground. Limited edition replica LP reissue.